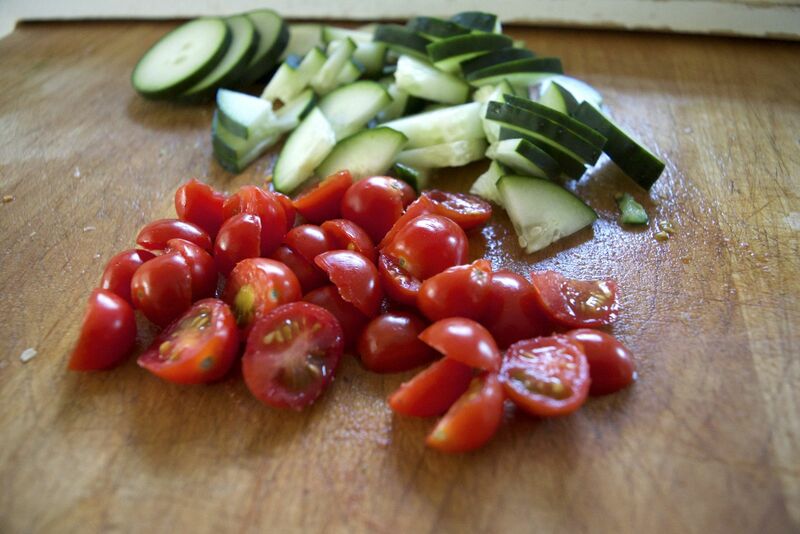 If you are looking for other mason jar salad recipes then check out our posts on grilled steak and pepper salad here, our chicken fiesta here and our grilled eggplant veggie delight recipe here. 1. 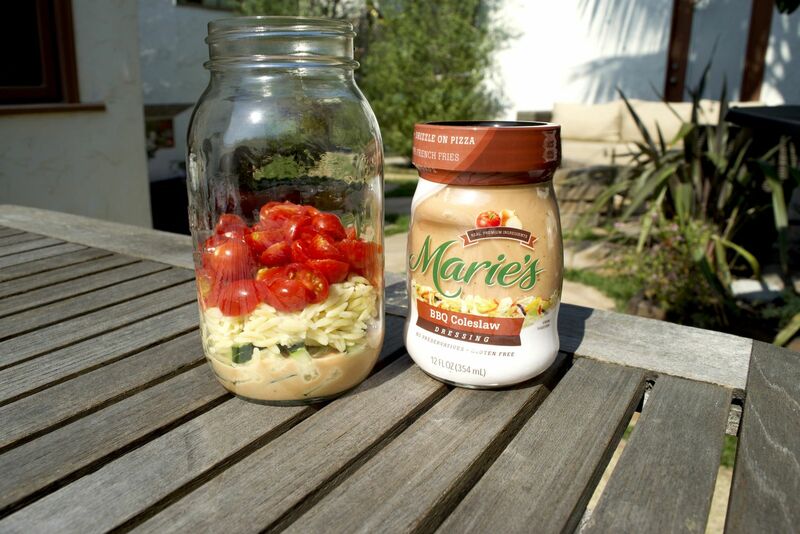 Brush your shrimp with 4 teaspoons of Marie’s BBQ Coleslaw dressing. 2. Fire up your Weber grill and preheat it for 10-15 minutes. You will be grilling on medium to high direct heat, focusing on temperatures around 450-500. 3. Give the shrimp a light coating of olive oil before you put them on the grill, this will help it from sticking and will also help give it those beautiful grill marks. 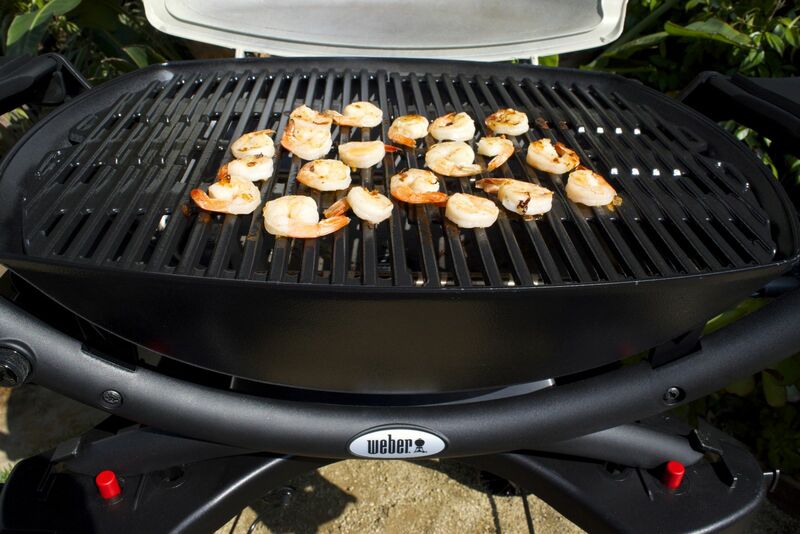 Grill shrimp for 2 minutes per side over direct heat (meaning food should grilled be directly over lit burner). 4. Remove shrimp from the grill and let rest. 5. Layer ingredients in your mason jar in the following order: remaining BBQ Coleslaw dressing, cucumber, orzo, grape tomatoes, shrimp, kale. Seal jar tightly and store in refrigerator for up to 5 days. Shake well before serving.